Proper estate planning can benefit your loved ones. Too often, young families do not plan for the unexpected. Avoid disputes between family members, which can cause undue hardship and stress for your children. If you’re looking for a law office who has the experience necessary to provide prompt and efficient attention to the legal concerns of your Credit Union, look no further than Covelli Law Offices. Covelli Law Offices has the knowledge and experience to assist and guide you during this very stressful and emotional time in your life. Real Estate is one of the most significant purchases that most of us make during our lifetime. When you experience a serious injury due to the actions (or inactions) of a third party, the law provides for the injured person to be “made whole”. Financial reimbursement may be available for disfiguring and debilitating injuries. From corporate formations, business issues, and filing bankruptcy to contract review or collections, Covelli has the experience you need to be properly represented. Why choose Covelli Law Offices? Covelli Law Offices has gained a reputation for responsive action and strategic, cost-effective legal support. 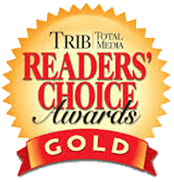 In fact, Joe Covelli / Covelli Law Offices has recently received the Gold Award in the Attorney category – in both the City of Pittsburgh and the South Hills – as voted by the readers of Trib Total Media! Here’s what our satisfied clients have to say. Here’s what the Court has to say. We can help with all legal matters. We offer a free 30-minute consultation. If you have any questions regarding a legal matter, we are just a phone call away.